The Hunger Games movie arrives in theaters on March 23rd. The box office is expected to be very big - at least $75 million. People were camping out overnight just to meet the stars of the film at the premiere. Interest in the movie has given the already popular books by Suzanne Collins an extra boost. Amazon revealed today that Suzanne Collins is the bestselling Kindle author of all time. Amazon has also set up a Hunger Game Store featuring the books, clothing, music, toys and other merchandise. 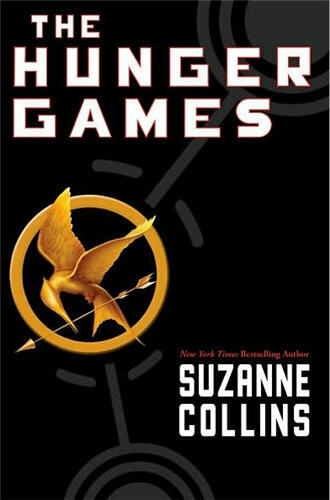 Jessica Schein, Amazon.com Young Adult Books Editor, says, "There's no denying that the Hunger Games has become a worldwide phenomenon, and we love that it all started with a great book. These books appeal to customers of all ages - adults and teens alike - and you can see from our Top 20 list they're captivating readers across the whole country. All three books in the trilogy are best sellers in print and on Kindle, and now our customers have made Suzanne Collins the best-selling Kindle author of all time."